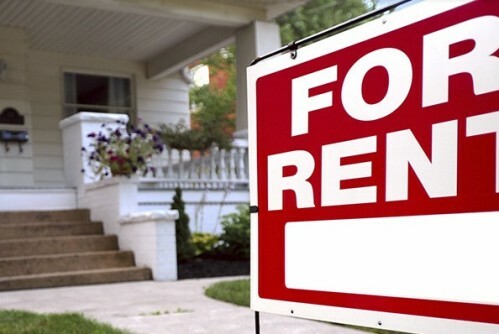 Are you looking for a property management company to manage all your rental properties? Hiring the service of a property management company is a good decision especially when you are new to the world of property investment. A specialist property management company will take care of your rental properties and make sure you get good profit from it. But, how do we hire the best property management company? What are the key qualities of a good property management company? It is not easy to find the best property management company as there are thousands of property management companies out there that offer various services. The process can become even more tiresome when you have no previous experience in dealing with a property management company. The following are some qualities that are said to be the key to a good property management company. Responsiveness: There will be many occasions where you need your property management company to respond quickly to your queries and concerns and solve the problem at the earliest. Therefore, when hiring the service of a property management company, you need to make sure they are responsive and are always ready to help you. Honest and Ethical: Another important quality of a good property management company is they should be honest and ethical in the way they conduct the business. A landlord can handle the responsibility of collecting rents, deposits and doing regular maintenance to the property management company. The landlord expects the property management company to perform each job with the highest level of integrity. An ethical property management company will always consider your points when taking a decision related to your rental property. Excellent Communication Skills: The most common complaint people normally have about a property management company is the poor communication skill they have. A good property management company should offer round the clock support and should articulate what is happening to your property at regular intervals. It is very important for a property management company to behave and communicate in a professional way and keep all the parties in the same page. Transparent: Transparency is another essential quality you need to look for in a property management company. The company should be able to provide you with all the valuable information about how they function and their financial status so that you can be sure you are dealing with a professional property management company. Maintenance Service: It is common that your tenants will have some complaints and there will be occasions when a quick maintenance is required for your rental property. A good property management company should have the resources to carry out emergency maintenance services so that they can keep both the landlords and the tenants happy. Understanding of Rules and Regulations: Finally, you need to have a property management company that has a clear understanding of the rules and regulations related to property management. If the company is not up to date with the rules and regulations related to property management, the landlord will be facing the risk of future lawsuits. Therefore, it is the responsibility of the landlord to make sure your property management company has a clear understanding of the rules and regulations. Hiring the service of a property management company is a tough task that needs to be carefully executed. If you are looking for a property management company, you need to make sure the company has all the key qualities mentioned here so that your rented property is in safe hands.